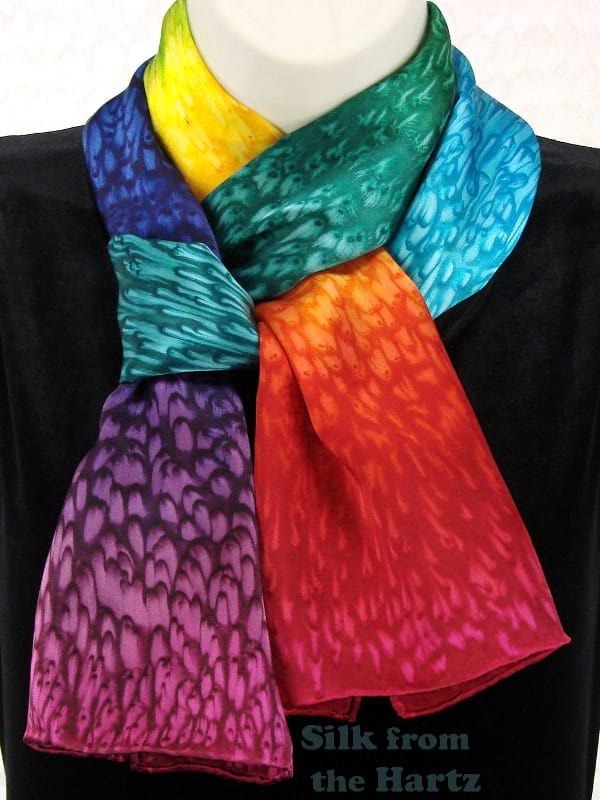 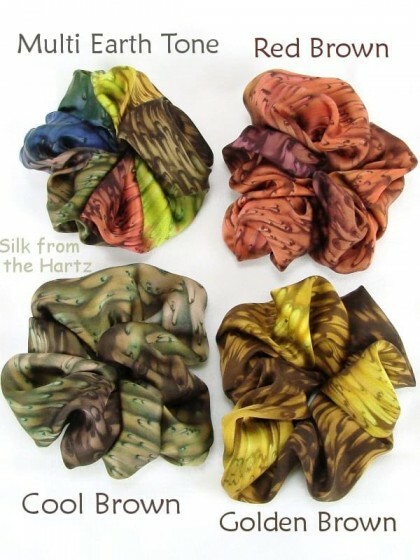 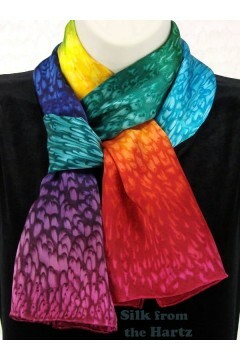 Add a splash of color to your wardrobe with beautiful, lusciously soft silk scarves. 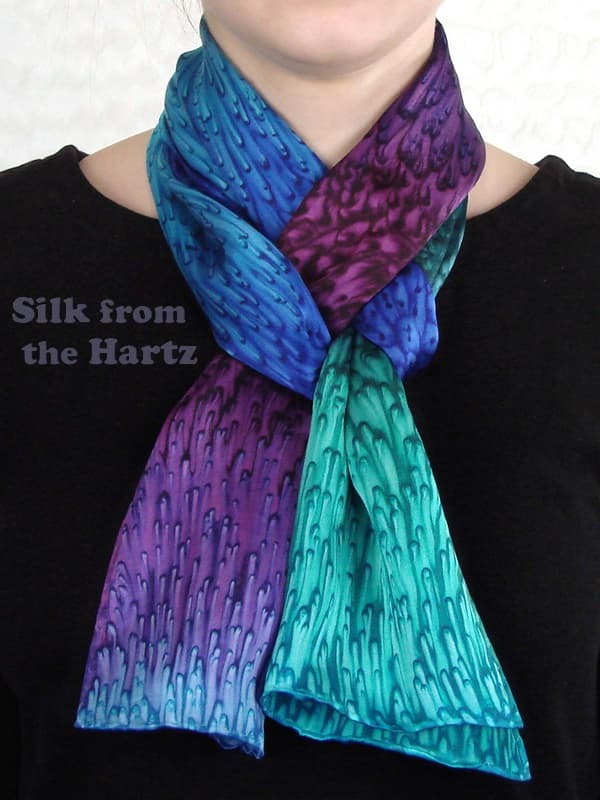 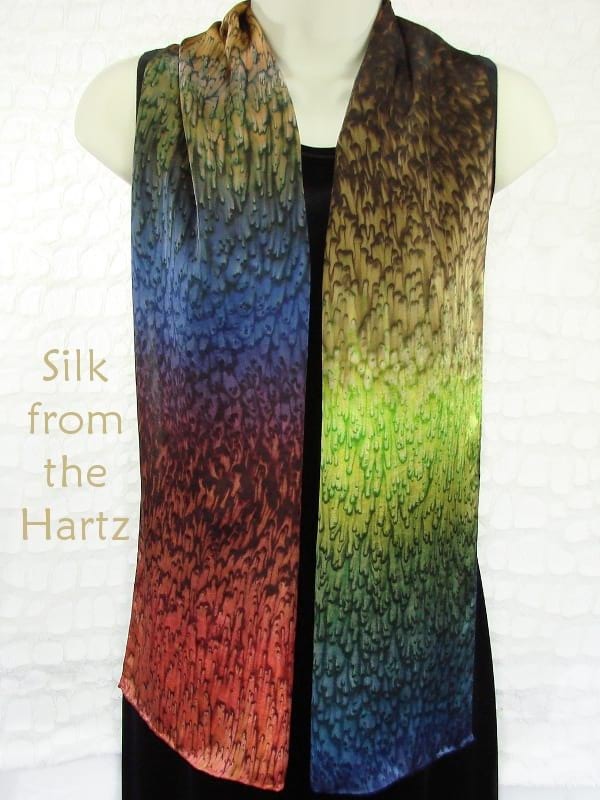 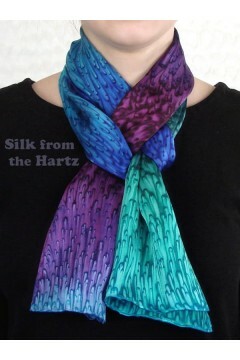 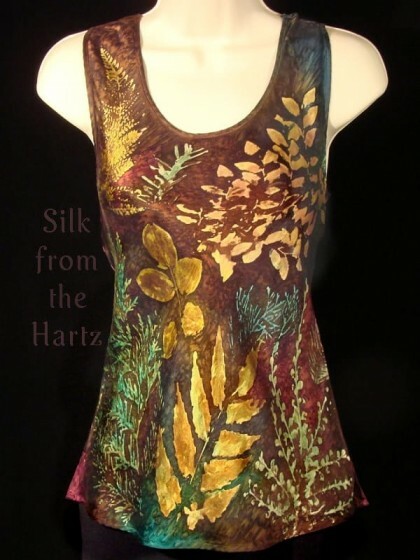 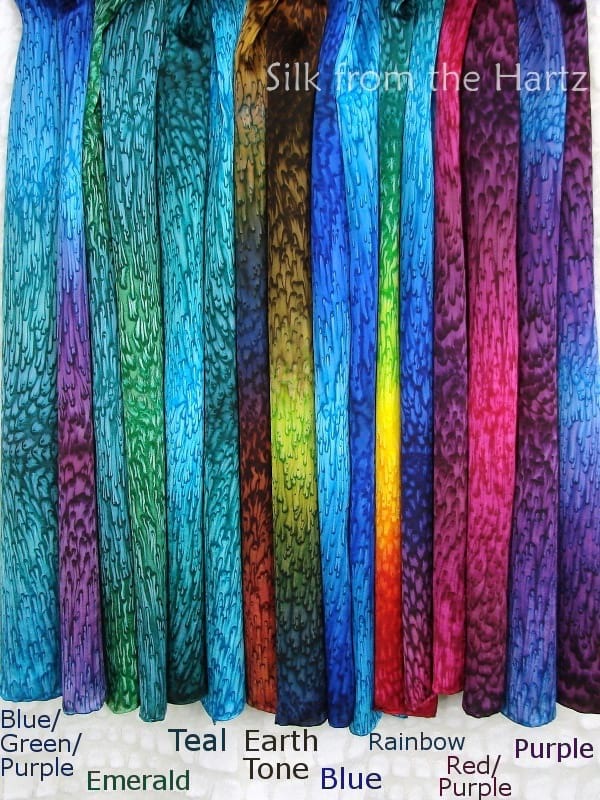 Choose from 8 creatively hand dyed colors - blue, green, purple, red, brown, jewel tone, rainbow or earth tone colors for a unique fashion accessory for women. 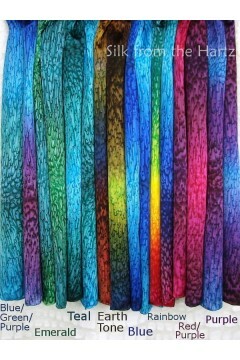 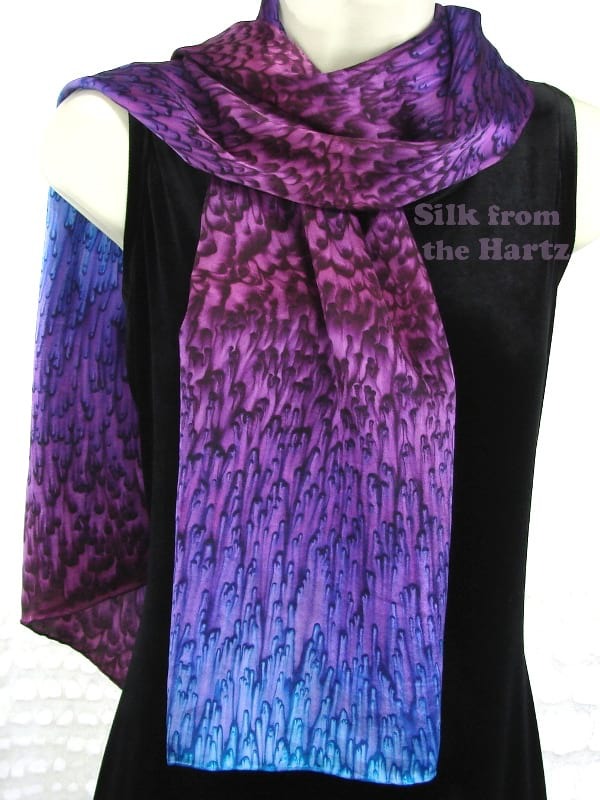 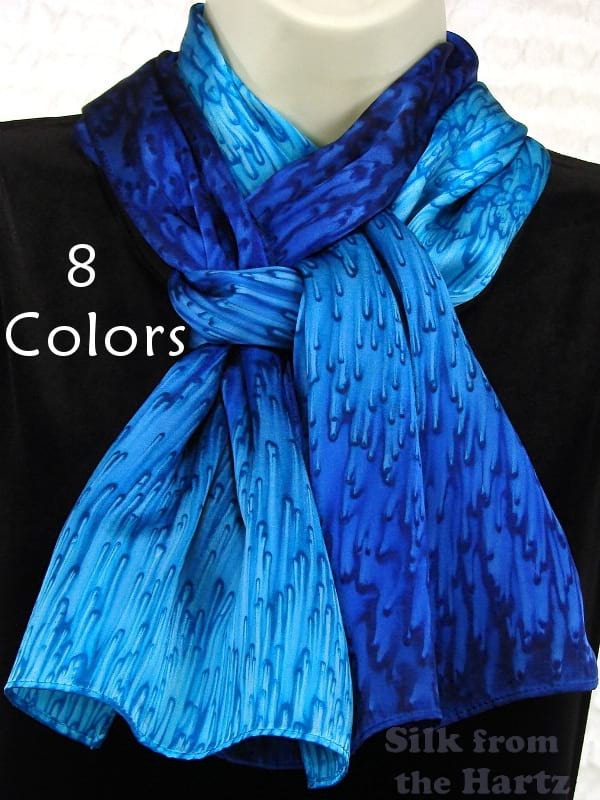 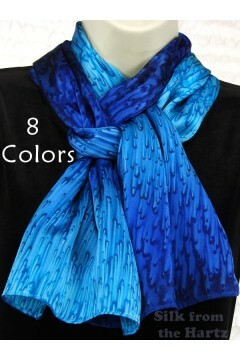 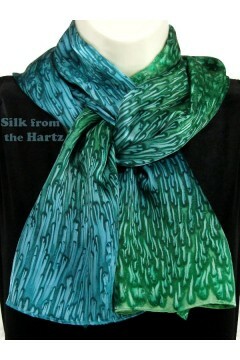 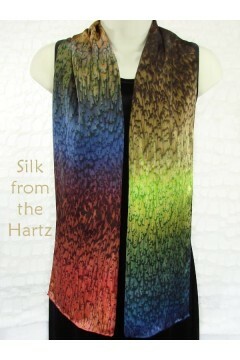 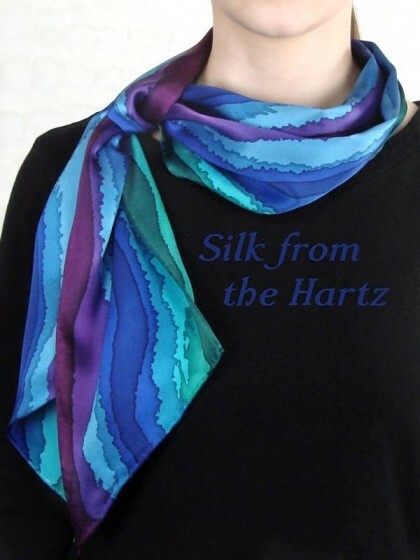 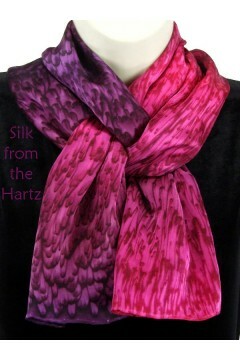 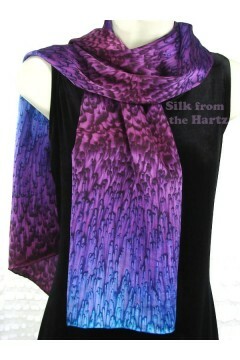 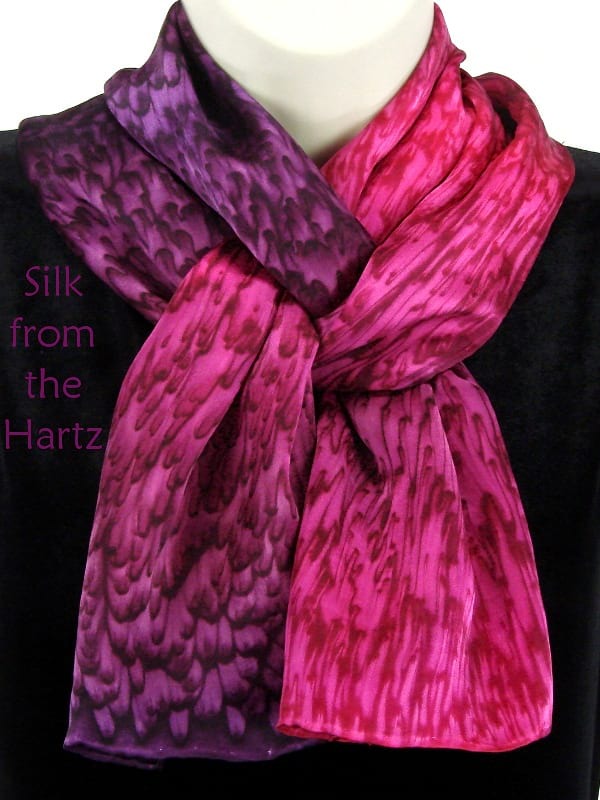 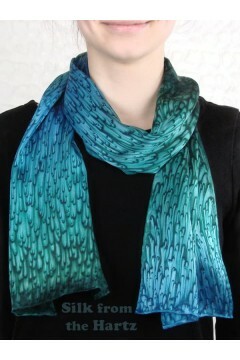 What better way to make a woman happy, but to give her a soft and colorful handcrafted silk scarf! 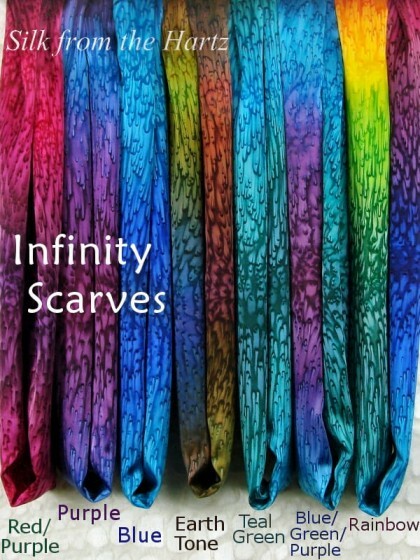 A loving idea for a best friend gift. 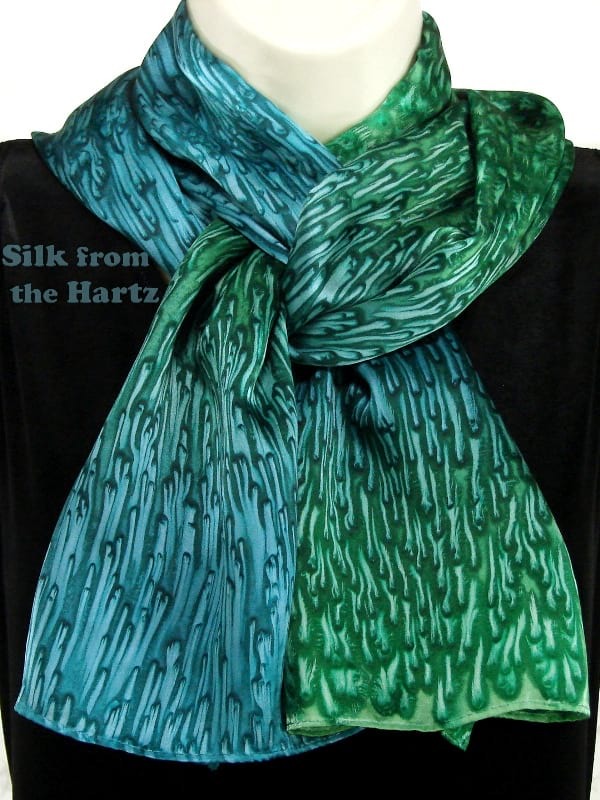 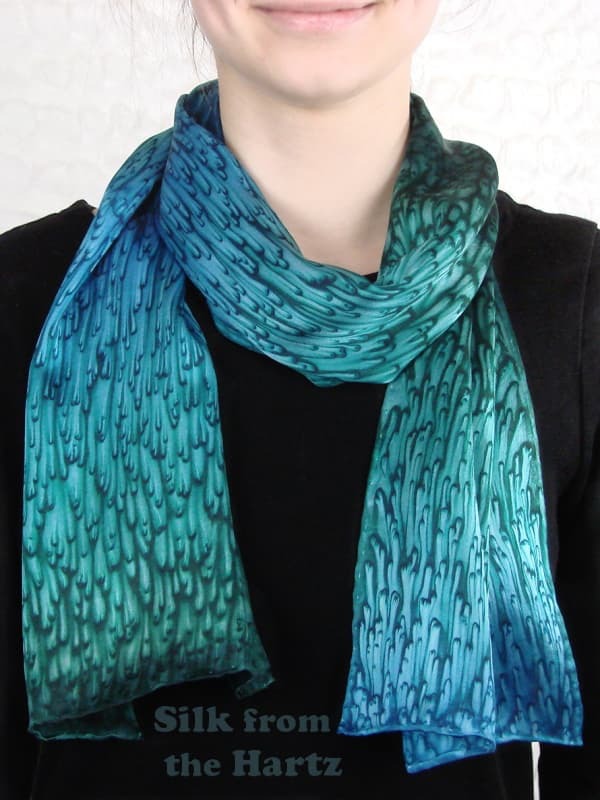 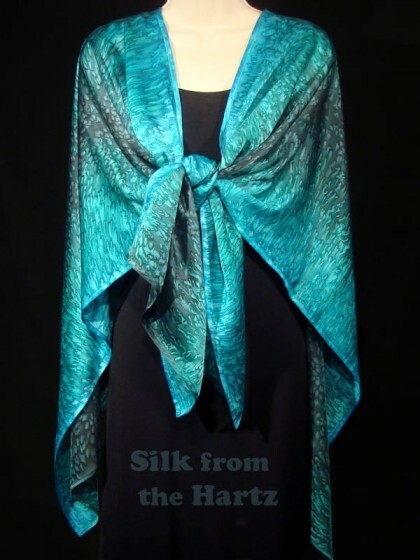 Universal Green Color Goes with multiple outfits, and can be tied many ways, from an elegant shoulder coverup to..
Savor the Softness, Easy to Wear Either simply wrapped around or twisted once or twice, infinity scarves stay in..